Exactly 11 years ago, Miles Zuniga was jetting off to Amsterdam with his Austin-based alt-rock outfit Fastball to try to put some touring muscle behind its latest release, The Harsh Light Of Day. Expectations were high, given the surprising mainstream success of 1998’s All The Pain Money Can Buy, which the band milked for almost two years. Fast-forward to today, and Zuniga has humbler aspirations for his first solo effort, These Ghosts Have Bones (33 1/3), a wrenchingly personal, fitfully melodic ode to the breakup of his 10-year marriage. Though Fastball is still very much a working entity, Ghosts’ quirky centerpiece, “Marfa Moonlight,” would’ve undoubtedly been a much different animal with bandmates Tony Scalzo and Joey Shuffield involved. The same goes for the rest of this inward-looking song cycle. Zuniga will be guest editing magnetmagazine.com all week. Read our brand new Q&A with him. Zuniga: I’ve been around the world and eaten in many a fine restaurant, but I have to say that if I was given a choice of any meal before I went to the electric chair, it would have to be the albóndigas from Toñio’s restaurant in my hometown of Laredo, Texas. They’re otherworldly. 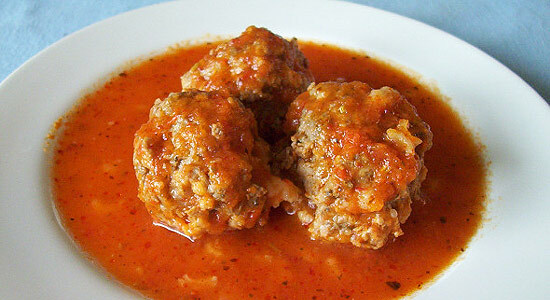 It’s just meatballs in a chipotle sauce, but that’s like saying Howling Wolf’s “Shake Me” is just three chords. It’s so much more than that. Now wherever I go, if I see albóndigas on a menu, I’ll order them, but I’m always disappointed. Tonio’s holds the crown. Next PostNext MAGNET Exclusive: Stream The New Caithlin De Marrais Album!